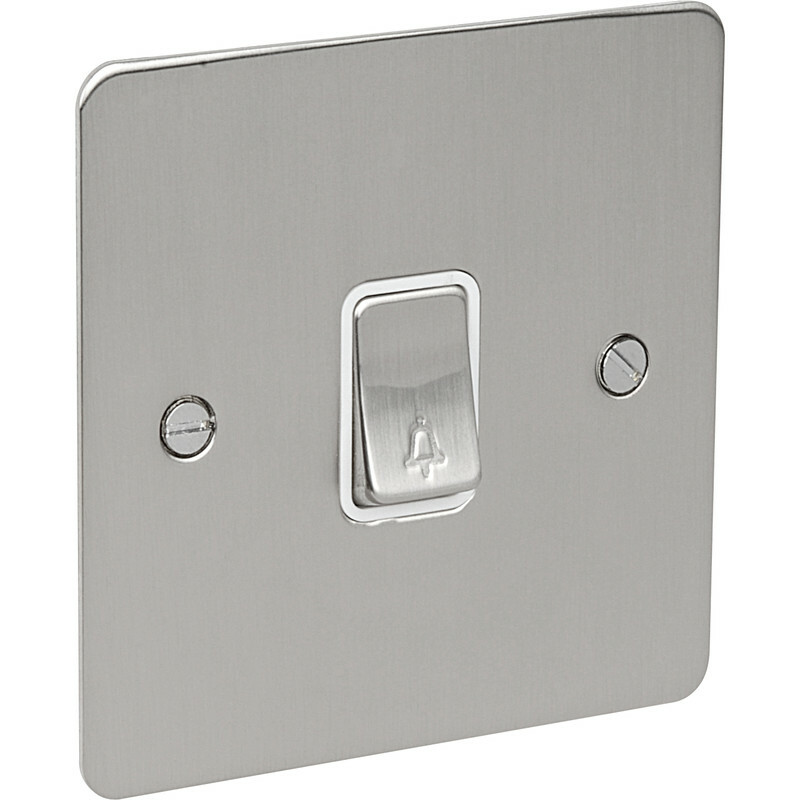 Flat Plate Satin Chrome 10A Switch Bell Push is rated 5.0 out of 5 by 2. Rated 5 out of 5 by Hills S from Looks great Excellent product and nice smooth on off switches,free postage as well. Rated 5 out of 5 by peteneutron from good quality solid positive switching and brushed stainless flat finish makes this quality switch a good buy.